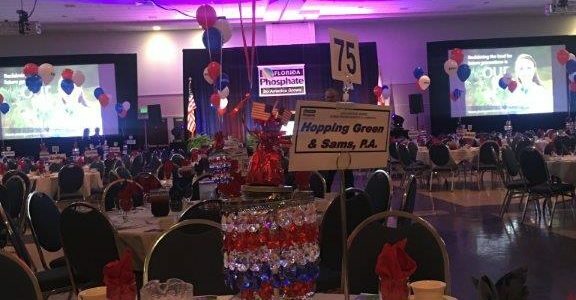 Hopping Green & Sams (HGS) lawyers David Childs, Ralph DeMeo, Adam Blalock, and Robert Volpe attended the annual Phosphate Industry Barbecue. The event was held in Lakeland, Florida, and featured guest speakers Florida Department of Agriculture Commissioner Adam Putnam and former Arkansas Governor Mike Huckabee. The annual event, which HGS sponsored, highlights the successes of the phosphate industry in Florida.